Three years ago, the Association of American Colleges and Universities (AAC&U) launched the first National Day of Racial Healing to implore colleges and universities around the country to actively encourage and hold events to “promote healing and foster engagement around the issues of racism, bias, inequity, and injustice in our society.” This year’s event takes place on Tuesday, Jan. 22. The AAC&U’s call to action acknowledges that racial divisiveness has been embedded into the experiences of most Americans, and that commitment to healing requires more than acknowledgment that systemic oppression exists. It must be accompanied by policy changes, a focus on identifying subtle and not so subtle situations that injure members of our community who have been relegated to the margins, and acute attention to our own needs for growth. Saint Mary’s College will join this national effort of awareness and action. Reflection and seeking a path toward healing and forgiveness are foundational tenets of our Catholic and Lasallian traditions. Saint Mary’s College is devoted to keeping the importance of personal awareness as a step toward community reconciliation at the forefront of our goal of inclusive excellence. As such, Mission and Ministry and the Intercultural Center are creating two passive programming spaces in front of each center where students, faculty, and staff can respond to prompts about racial healing and harmony, and post them throughout the day. We will share these statements of hope with community. A few months ago, the CCIE sent forth information about the AAC&U’s Truth, Racial Healing & Transformation initiatives, and provided our community with resources to explore how we can, individually and as a community, move “beyond disbelief” and “commitments to understanding” to effective action to address past injustices and to create lasting change when racial injustices occur. This active step continues the College’s enduring promise to remain vigilant and retain hope. On Sunday, January 20th, the first event of the Second Annual 44 Days Honoring Black History: Strength in Community takes place in the Chapel with a Mass to commemorate the life of Dr. Martin Luther King Jr. 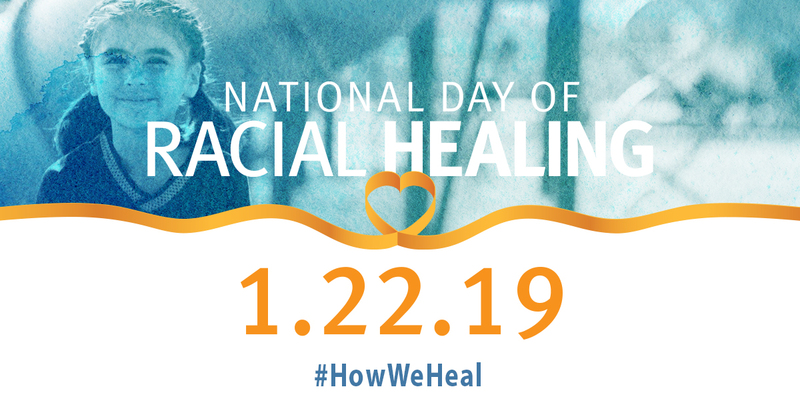 It is fitting that the National Day of Racial Healing follows this solemn occasion. We hope you will join us at the Mass or at events throughout the 44 Days.